Pantheon High Speed Rail Cleaners provide the high speed rail industry with revolutionary cleaners that are non-toxic, non-hazardous, non-corrosive, and odorless. Originally developed and now adopted by the U.S. aerospace industry, Pantheon Cleaners are powerful enough to remove heavy carbon, dirt, grease, grime and oil, but safe enough for daily cleaning and maintenance. 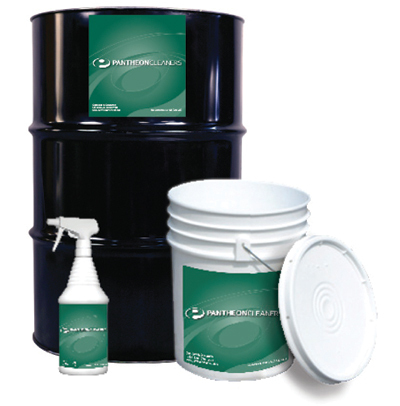 Pantheon Cleaners are safe for use on all surfaces (including rubber, plastic, metal, painted or unpainted).